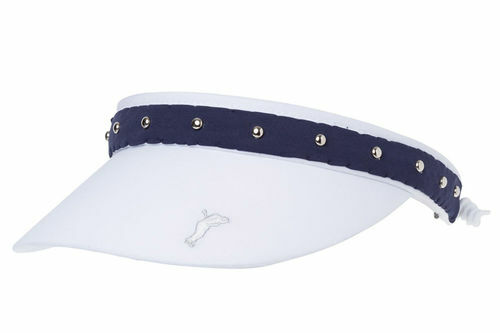 This premium quality golf visor with rhinestone application, offers elegance and comfort to your golf game. Constructed with a micro material and soft towelling for all-day long comfort during your golf game. The visor has an elasticated insert at the rear for a perfect fit.